These photos of EPDM rubber roofs have been taken from our records, they are in no particular order. 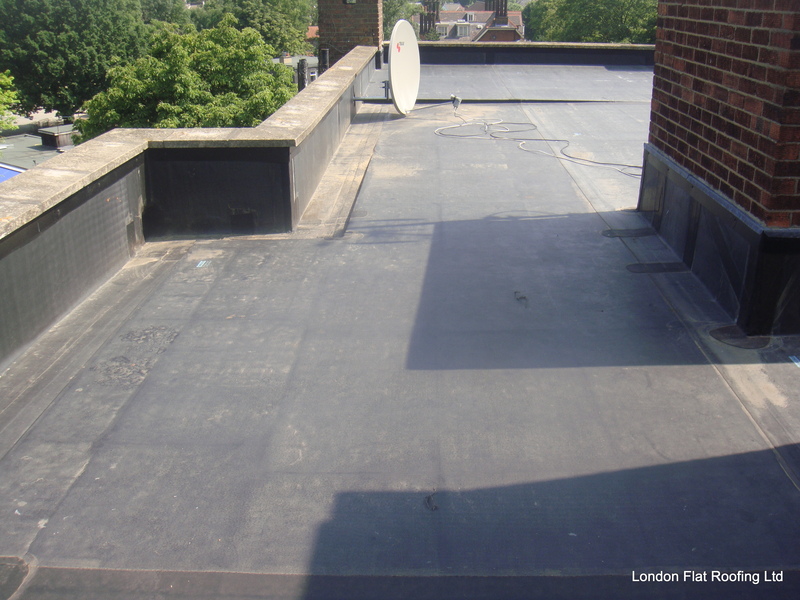 If you want to discuss any of them, please feel free to contact me at London Flat Roofing. There is a lot to see in this photo. If you click on it you’ll see a large high resolution photo. EPDM rubber goes up the parapet walls, making them low maintenance. 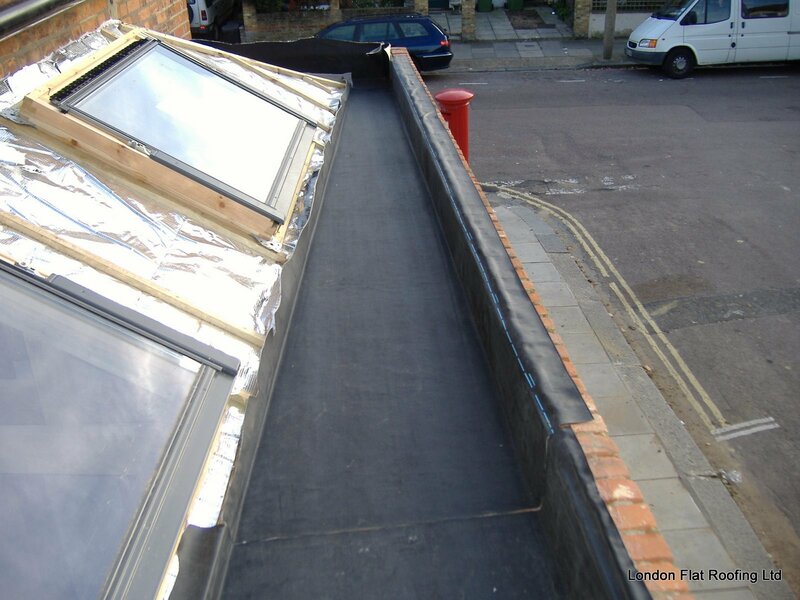 The EPDM is laid over insulation – you can just see the lines of the insulation through the EPDM. The falls to the roof have been made from tapered insulation, this is best viewed on one of my videos – watch it here: EPDM rubber on insulation. We have built box gutters into the roof to lead the water to the outlets, you can see these on the left by the start of the parapet walls. the EPDM will last over 40 years, however when it starts to have a problem, where will this problem be? We think the problem will be at the joints, so we try to cut and joint the EPDM rubber as little as possible.